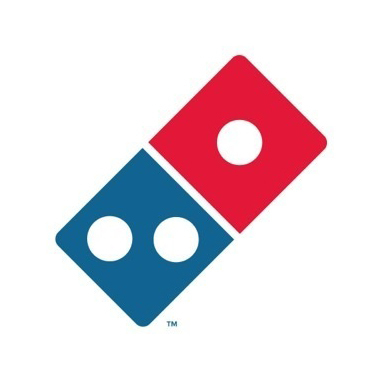 Domino’s UK has rebranded, in a move which sees it drop the words ‘Domino’s Pizza’ from its identity and instead use a redrawn domino symbol in isolation. 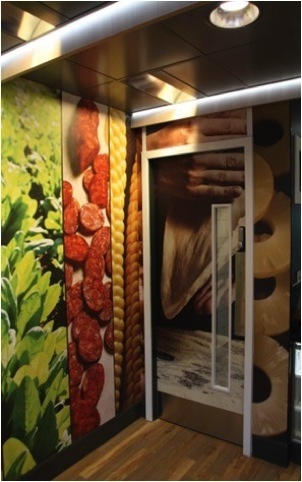 The company has also overhauled its interiors and will roll out a retail concept designed by AEW Architects. The logo, designed by Crispin, Porter and Bogusky, has been rolled out from the US where it launched last year, and Iris Worldwide has worked on the UK application of the new brand across digital and printed communications. 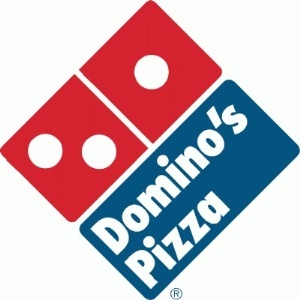 Russell Weiner, chief marketing officer at Dominos, said at the time of the US launch that the company wanted its domino to become ‘as recognised as the Nike Swoosh’. 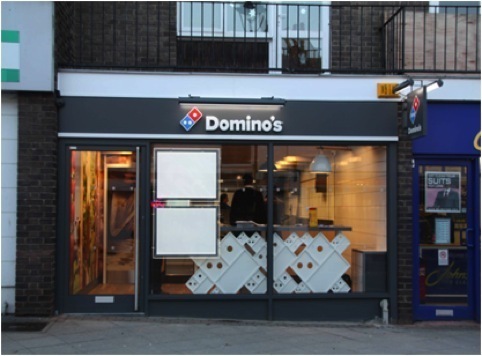 Domino’s UK sales and marketing director Simon Wallis says the new de-branded Domino’s look ‘proclaims that Domino’s is comfortable in its own skin and doesn’t need to tell anyone that it sells pizza’. 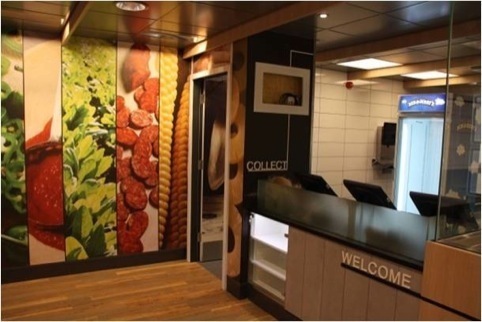 Meanwhile a 1950s-inspired design by AEW Architects will roll-out across Domino’s 850 UK shops, bringing ‘all the magic that happens back of house, right into the customer’s focus,’ according to Wallis.